Age: Pre-Release – super fresh! 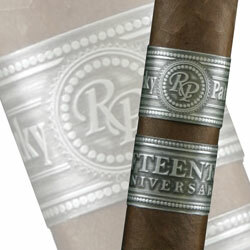 I received an e-mail from the folks at Rocky Patel asking if I would be interested in trying a pre-release of Rocky’s 15th Anniversary cigar. 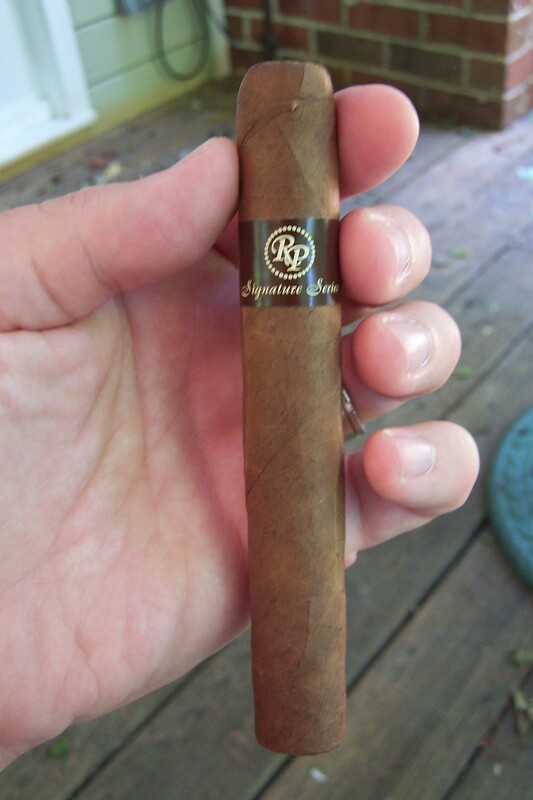 I said sure, and the cigars were at my doorsteps faster than you can say Ecuadorian Habano-seed wrapper. I received two, this review is for the first one I smoked. Taking in to consideration that this is a pre-release you sometimes have to over look any youthful characteristics in the smoke. The cigar has a very dark wrapper for being an Ecuadorian Habano-seed, and looks like it might have a kick to it. Considering this nice looking box-pressed cigar has all Nicaraguan filler in it, I thought it may be a welcome departure from the usual RP Honduran flavor profile. This is the third of Rocky’s seasonal selections and has proved to be his most successful. This supposedly is Rocky’s fullest blend to date, and stores have all but sold out of them. I snagged one for myself to review before they disappeared forever (or until Rocky decides to make this into a regular line). Starts off strong with a lot of muddled flavors on the palate, common to me in most Maduros. I think I pick up roasted nuts and leather. The draw is easy, but the burn is crooked. This points out a good discussion point. The trend in the industry is to go big – big strength and big ring gauge. But I notice that big ring gauge cigars often burn poorly. It’s almost like the Cubans know what they are talking about (most habanos are smaller than 52 ring gauge – only recently, Altadis-I’m talking to you, have they gone with some bigger cigar vitolas). Back to the cigar. Nothing special, but not unbearable. Ok, so I got this from a buddy and have been putting off smoking it for a while. The draw is very loose, but the cigar is well rolled, not too spongy. The tastes I get after lighting is a slightly spicy woodiness. Tons of smoke billow out from every puff. As I smoke it, it becomes creamier but there is a constant tanginess on the palate. Also I pick up coffee and milk chocolate notes. The ash is very flaky, which I do not care for, but otherwise a good cigar.